It’s rare for Jason and me to present together these days, but we did so as the opening speakers for the amazing Ubuntu Festival with an intensive 2-hour long presentation entitled: The White Lions: Substantiating the Science and the Sacred Science. The debut of this ground-breaking annual Ubuntu event was even more exciting than we expected! It was a weekend filled with celebration of the human spirit and knowledge-sharing. Depending on how much you gleaned at a deep energetic level, the convergence of powerful speakers with mind-bending advanced technologies was seismic – or just plain old fun. 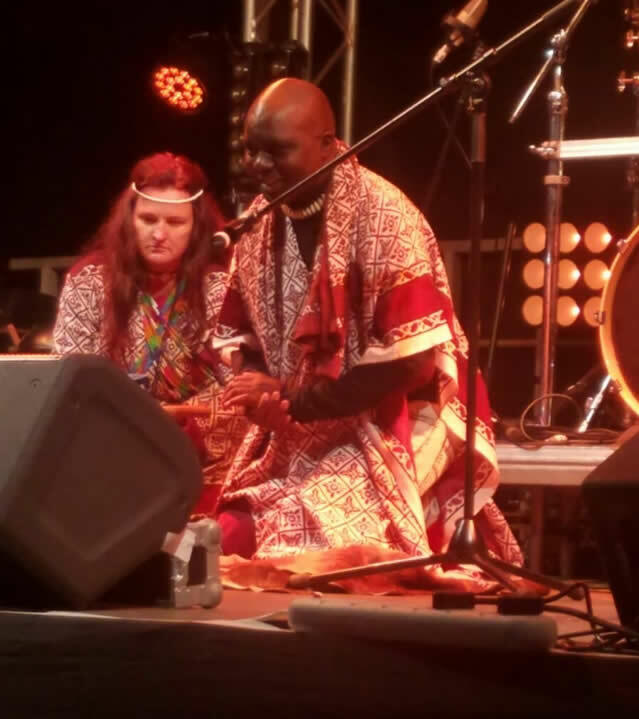 Michael Tellinger, founder of the UBUNTU Liberation Movement of Unity and Higher Consciousness, created a space at the Mbombela World Cup Stadium – which happens to be on the Golden Nile Meridian that links the White Lions to the Sphinx in the North, and Adams Calendar in the South. Here, in this unlikely forum, leading speakers from around the globe congregated to share their wisdom and celebrate their culture with locals and internationals alike. The weekend consisted of a wonderful blend of fascinating workshops and mesmerising musical and artistic performances. Workshop topics included exploration of ancient advanced civilisations, cymatics, sound-healing, as well as the daunting UFO phenomenon – which was led by a presentation from key US military personnel, Robert Salas, who went on record in the States to testify that his nuclear weapons base (and another base a few kilometres away) saw benign UFO activity, which shut down 20 nuclear warheads in the 1960s. 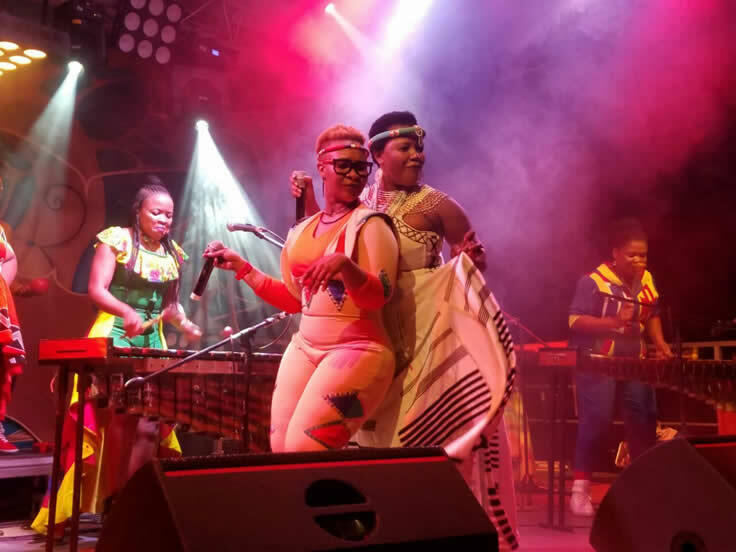 Both mind-boggling and heart-warming – the performances on the main stage ranged from traditional Swazi dancing to overtone chanting, with no musical stone left unturned! 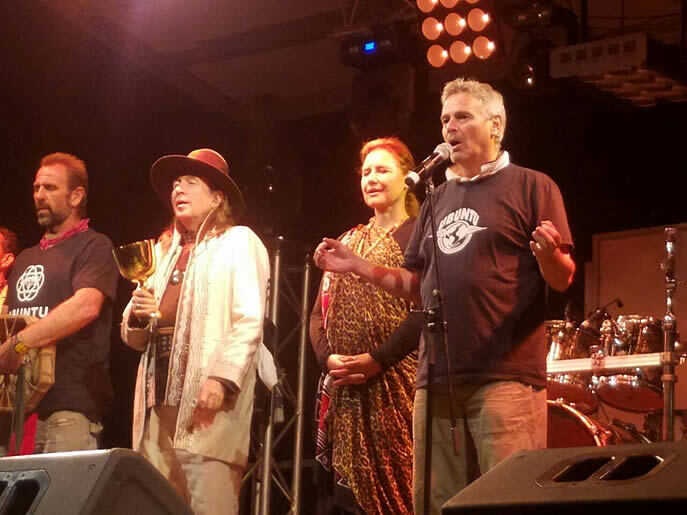 I was honoured not only to open the festival with a joint presentation side-by-side with Jason, and a ceremonial opening together with Michael Tellinger and medicine people from around the globe, but also to present the closing workshop of the event-packed 4-day festival. The White Lion Trust is lucky enough to have my treasured niece, Margo Naude, on our team this year, a legal graduate, who enthusiastically wo-manned the stall on behalf of the White Lions. Of course, the spirit of the White Lions walked amongst the people in the festival, their qualities of Origination, Collaboration and Appreciation clearly expressed by a really supportive crowd who attended – Radiating enthusiasm and committed to transforming our world. 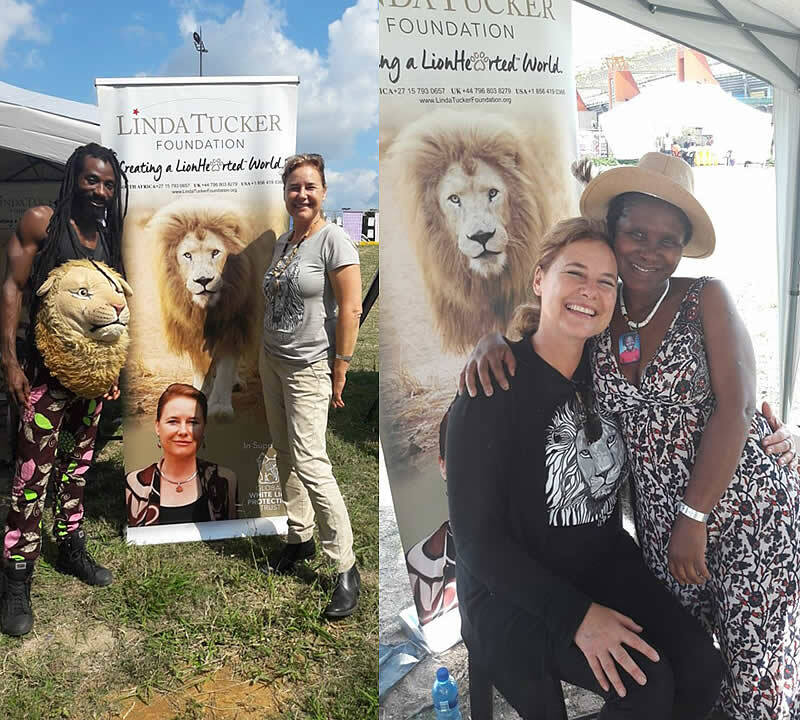 My support for the concept of Ubuntu (finding yourself through others) was extended to “Ubuntu for animals” – a movement launched by dear friends, Shelley Ostroff and Dawn MacFarlane. Accordingly, on Sunday evening, my workshop provided a concise explanation of the 13 Laws of LionHearted Leadership™ and then closed with an interactive prayer ceremony for non-human animals, where the attendees were each given a chance to honour any species of their choice, holding a prayer of protection for them in every corner of the globe. Despite the attendees’ exhaustion from a weekend of important energy-work and learning, this prayer brought about a deep sense of peace and unity – a perfect way to end the weekend. 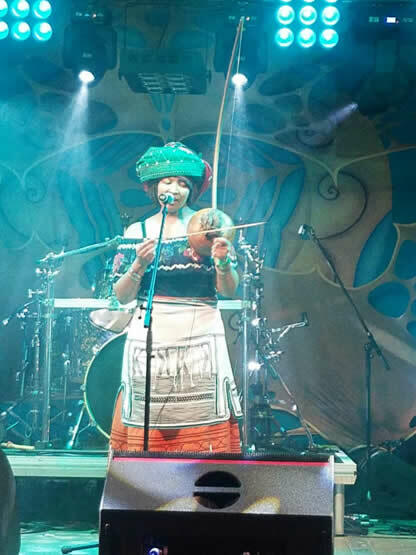 I would like to extend a deepest thanksgiving to the Khoi-san people who joined the event from the Cape. 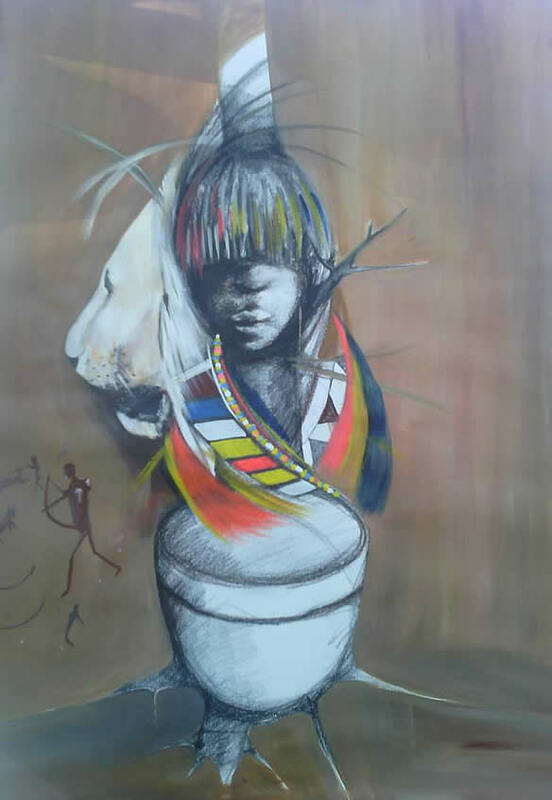 Together, we did prayer for the restoration of the First Nations and the White Lions alike, as the Bushmen themselves recognize the phenomenon of these luminous ancestors as symbols of hope for their people and the planet. We also united, from afar, with our Kumani bushmen family, who were simultaneously involved in a special gathering to honor the departure of legendary Bushman healer, my dear friend, Jan Si Ku. Warmest appreciation for this monumental achievement to Michael and his team. Next year in April, the event will be held deep in the mountains at hot springs close to Adams Calendar, so I recommend you save the date. An artwork capturing the spirit of the festival.